Below you fill find all funeral homes and cemeteries in or near Parker. 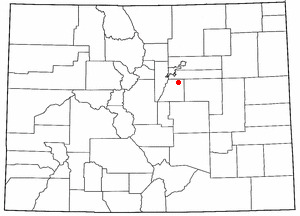 Parker is also known as: Douglas County / Parker town. Their current mayor is Mayor Scott Jackson, Josh Martin, Amy Holland, Debbie Lewis, John Diak, Joshua Rivero. Zip codes in the city: 80134, 80138. Some of the notable people born here have been: (michael %22ffish%22 hemschoot). The Town of Parker is a Home Rule Municipality in Douglas County, Colorado, United States. As a self-declared "Town" under the Home Rule Statutes, Parker is the second most populous town in the county; Castle Rock is the most populous. In recent years, Parker has become a commuter town at the southeasternmost corner of the Denver Metropolitan Area. As of 2013, the town population was 48,608. Parker is now the 19th most populous municipality in the State of Colorado. It was written on January 10th, 2019 that Nathan Ross Redman passed away in Parker, Colorado. Redman was 26 years old and was born in Scottsbluff, NE. Send flowers to express your sorrow and honor Nathan Ross's life. It was noted on October 9th, 2018 that Robert Price "Bob" Stucker passed on in Parker, Colorado. Stucker was 83 years old and was born in Ansley, NE. Send flowers to share your condolences and honor Robert Price "Bob"'s life. It was written on September 19th, 2018 that Patti Simons perished in Parker, Colorado. Simons was 83 years old and was born in Milwaukee, WI. Send flowers to express your sympathy and honor Patti's life. It was written on June 9th, 2018 that Edward Durant Conrad died in Parker, Colorado. Conrad was 82 years old and was born in Berry, KY. Send flowers to express your sorrow and honor Edward Durant's life. It was noted on May 5th, 2018 that Kenneth Lee Beals passed away in Parker, Colorado. Beals was 92 years old and was born in Effingham, IL. Send flowers to express your sorrow and honor Kenneth Lee's life. It was revealed on February 21st, 2018 that Mary Mozzetti passed on in Parker, Colorado. Mozzetti was 83 years old. Send flowers to share your condolences and honor Mary's life. It was revealed on February 7th, 2018 that Ronald Kay Kendrick passed on in Parker, Colorado. Send flowers to share your condolences and honor Ronald Kay's life. It was revealed on May 22nd, 2017 that Stanley Wayne Martin died in Parker, Colorado. Send flowers to express your sympathy and honor Stanley Wayne's life. It was noted on April 15th, 2017 that Kristie K Empey (Banta) perished in Parker, Colorado. Ms. Empey was 61 years old and was born in Hutchinson, KS. Send flowers to express your sorrow and honor Kristie K's life. It was reported by Canon City Daily Record on April 1st, 2017 that Donald Charles "Don" Swanson perished in Parker, Colorado. Swanson was 90 years old. Send flowers to share your condolences and honor Donald Charles "Don"'s life. The Town of Parker is a Colorado municipalities#Home Rule Municipality Rule Municipality in Douglas County, Colorado County, Colorado, United States. In recent years, Parker has become a commuter town at the southeasternmost corner of the Denver Metropolitan Area. Its population as of 2006 is estimated at 41,406, over 145 times its population of 285 when Parker incorporated in 1981. [http://www.parkeronline.org/community_information/parker_history.aspx Parker History] from the town's official website Parker is now the Colorado municipalities by population most populous municipality in the Colorado of Colorado. As a self-declared "Town" under the Home Rule Statutes, Parker is the most populous town in the county. As of the US Census 2000, the town population was 23,558. The official website for the city of Parker is http://www.parkeronline.org/. Listing all funeral homes in Parker, Colorado so you can easily send flowers to any location (same day delivery) or find any funeral service. Find crematories & Crematories in Parker, CO. Read business reviews, find driving directions, and more. crematories on YP.COM. We work with local florists and flower shops to offer same day delivery. You will find budget sympathy flowers in Parker here. Our funeral flowers are cheap in price but not in value.